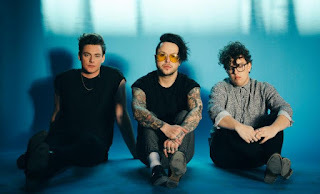 Emerging alternative group lovelytheband is slated for back-to-back U.S. tours this spring in addition to various festival performances across the country, including Lollapalooza. 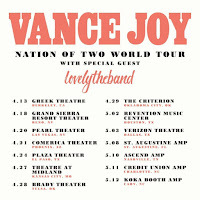 The Los Angeles-based trio will join singer/songwriter Vance Joy in April/May on select dates of the "Nation of Two World Tour," hitting major markets like Phoenix, Dallas and Nashville along the way. 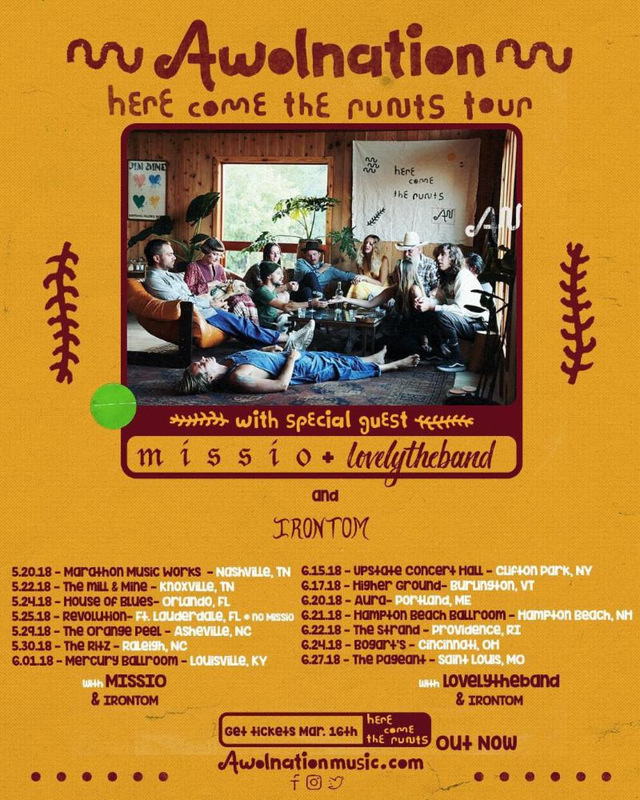 This precedes a month-long run with alt/rock band AWOLNATION in June, which takes lovelytheband to Providence, Cincinnati, St. Louis and more. 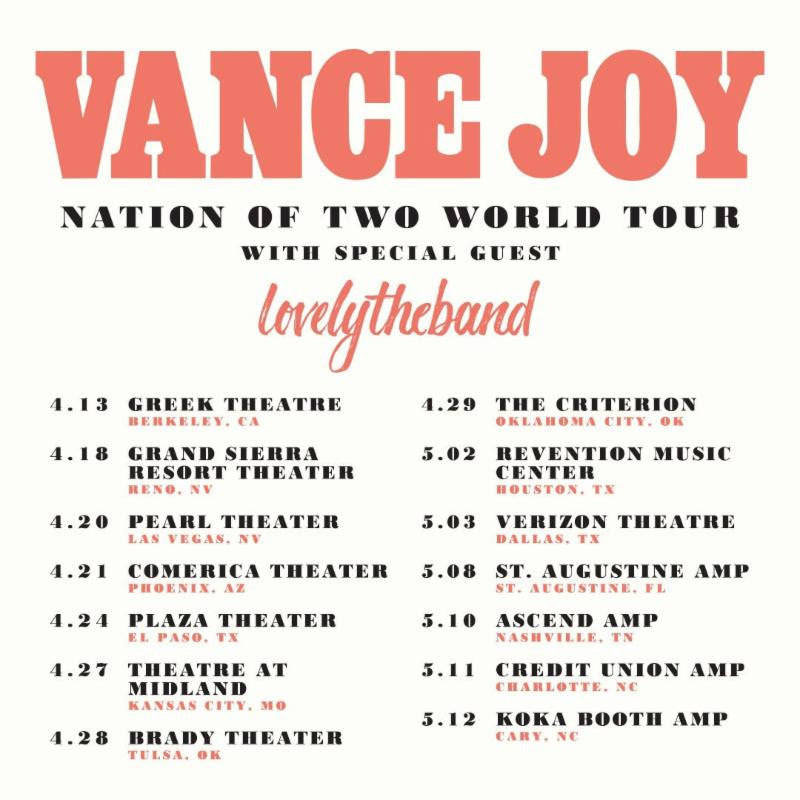 Check out the dates below.